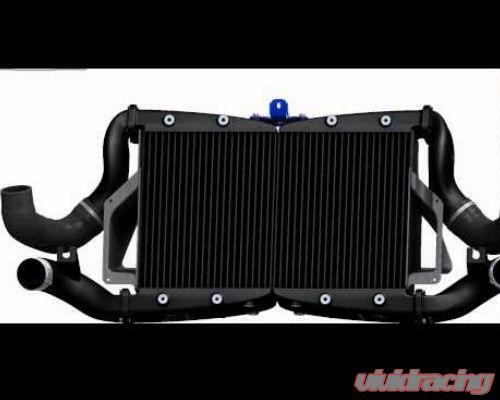 Wagner Tuning Competition Intercooler has the following core size 2x(360mm x 294mm x 110mm) equal to 23.3Liter. 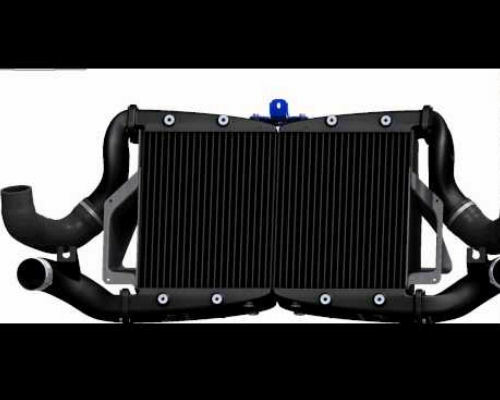 The Competition core allows airflow to the adjacent components such as the water cooler. It is also very light weight, air collectors end tanks are made of cast aluminum and are optimized under flow analyzes in CAD/FEA. Comes as full kit including Carbon Fiber Air Shroud. Optimum cooling of the charged air with significant performance increase. All products undergo rigorous quality control.